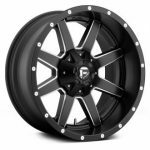 BKT AT 171 31-9-16 Mounted On Fuel Off-Road Mavericks $1,210.00 With Free Shipping And Lug Nuts Included! BKT AT 33-8-18 mounted on MSA Bandits $1,337.00 Free Shipping! BKT AT 171 28-9-14 Mounted on M30 Throttles $915.00 until July 5th!